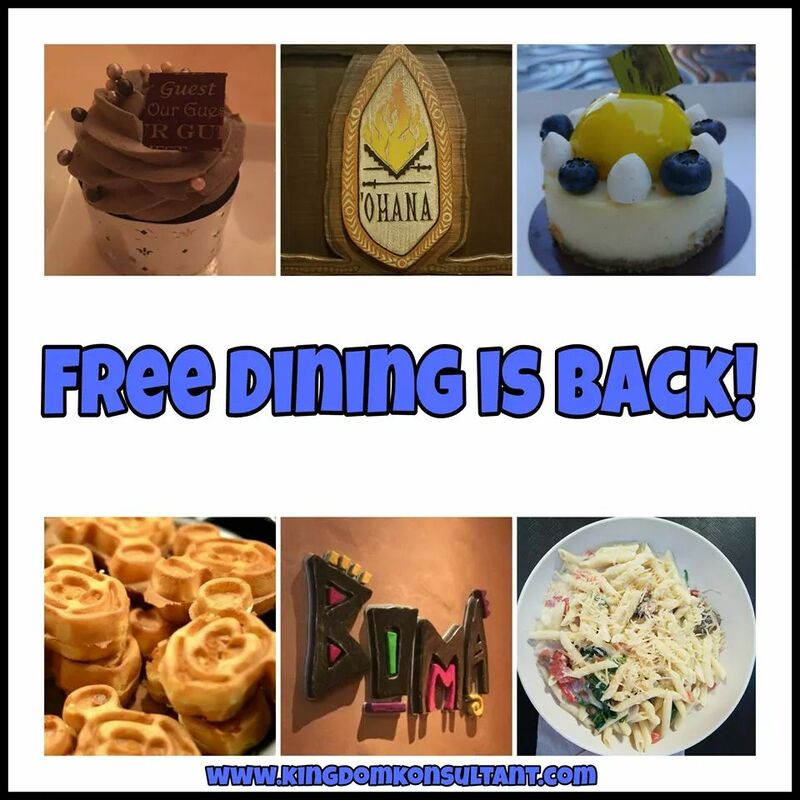 Kingdom Konsultant Travel Blog: Free Dining is Back! 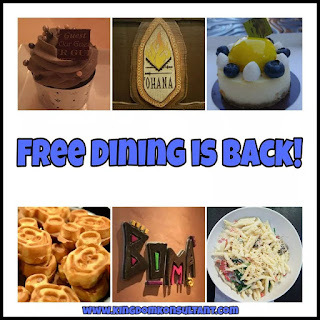 Disney released several package and room discounts including free dining! Deluxe and Deluxe Villa Resort hotels receive the Disney Dining Plan while Value and Moderate Resort Hotels receive the Quick-Service Dining Plan. Room discounts are available for dates August 1 - October 7, 2017. Contact your Kingdom Konsultant agent today for a quote or you can email vacations@kingdomkonsultant.com. We never charge any fees for our services, and flexible payments can be made on your Disney vacation!